It’s time for the last installment of the gift guide. Today, money is no object! Five-Star Accommodations. There are few outdoor gear manufacturers with more of a reputation than Stephenson’s Warmlite. Their tents are legendary, and legendarily expensive. A two-person model can run you close to $800 with all the options. (Or, to put it another way, roundtrip airfare to just about any hiking destination you might be inclined to consider.) To be honest, I’ve never used one. And while the reviews I’ve been able to find are mostly (but not universally) favorable, I doubt I’ll ever own one. But, if $800 is no big deal, these tents have a very loyal and vocal set of adherents. Artificial Noon. I’ve already suggested one hiking light, but if the person you are shopping for must have the best, try the Black Diamond Icon Headlamp. With its power pack of four AA batteries at the rear it is not an ultra-light choice, but it does combine an amazingly bright and wide light (one of my fellow hikers out here in Hawaii calls it “The Sun”) with good battery life. My only complaint: why do they make lights black? If you’re looking for it in your pack, after dark, wouldn’t a light color make more sense? About $80 at REI. Limousines for the Feet. 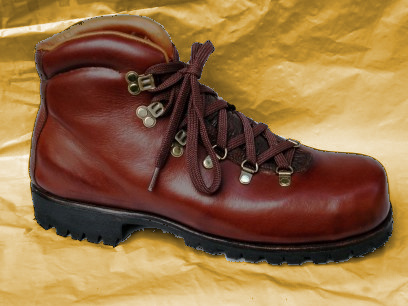 This would be an enormous investment, but someday I just might buy a set of Van Gorkom custom hiking boots. 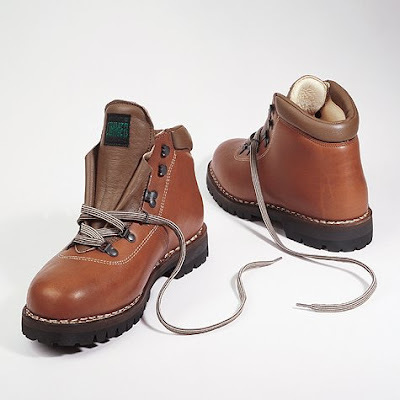 Yes, they are leather (which means they are not going to be light; they run about three-and-a-half pounds a pair), but I have recurring foot problems, and the better fit might be worth the extra weight. The bad news is that you’re too late for Christmas. A “rush” order takes a month after you have completed a comprehensive measuring routine. A regular, non-rushed, order will take nearly four months to complete. The good thing about waiting the extra time, however, is that it will cost you $1,400 less. Rush orders are $3,000 and regular orders are $1,600. Any ideas of your own? Leave them in the comments.